Update November 29., 2017: Full miCROPe 2017 Abstract book available as download. Hint: The Abstract book PDF can be navigated by using the included bookmarks. DAY 1 | 4. Dec. 2017 | 1P.M. - 8:30P.M. DAY 2 | 5. Dec. 2017 | 8:30A.M. - 3P.M. Social Events & Vienna Tours starting at 3 p.m.
DAY 3 | 6. Dec. 2017 | 8:30A.M. - 6P.M. miCROPe Party starting at 7 p.m.
DAY 4 | 7. Dec. 2017 | 9A.M. - 3P.M. DAY 1 | MON, 4. Dec. | 1P.M. - 8:30P.M. 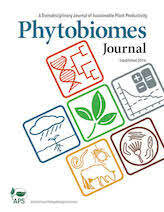 Caroline Baudson: Impact of plant growth promoting rhizobacteria on phosphorus use efficiency in the model grass Brachypodium distachyon (L.) Beauv. DAY 2 | TUE, 5. Dec. | 8:30A.M. - 3P.M. Andrea Manzotti: How do phytohormones influence the composition of fungal endophyte communities in tomato roots? DAY 3 | WED, 6. Dec. | 8:30A.M. - 18:10P.M. Soumitra Paul Chowdhury: Legacy effects of long-term organic or conventional farming practices on the rhizosphere microbiome and health of the next plant generation measured under controlled conditions. DAY 4 | THU, 7. Dec. | 9:00A.M. - 15:00P.M.